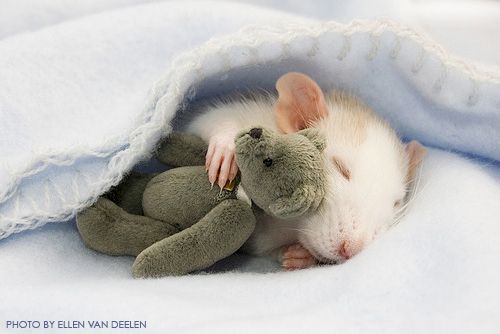 Monday Modern Parable ~ The Pet Rat | Holy. Just. Love. ← How and Why? Thank You! I have this bush in my backyard and it is infested with rats. One day my kid asked me, “Mom, can I have a pet rat?” Being the economical person that I am, I set a trap in the backyard. Sure enough I caught one. It was clean enough, so I took it to the Vet to have it checked out, thoroughly cleaned, and to get all it’s shots. I wouldn’t want to bring it into the house full of disease and yuck, now would I? I went to the pet store, bought a cute little house with all the bells and whistles and brought Rita the Rat home to my child much to their excitement. Rita was loved and played with and fed the best food, and slept on the best cotton. Meanwhile, out in the back yard, a rebellion was forming. The other rats were quite upset. They were grumbling amongst themselves and questioning why Rita was getting all the attention. Why did she get to sleep inside? Why was she always fat and happy? Why her and not them? Do you often ask why some are saved and others are not? Why someone who is a really good person God would condemn to Hell just because he or she is not one of the King’s children? Well, consider this. It is not about why some are going to Heaven and some are going to Hell. The real question is “Why are ANY of us going to Heaven?” Do any of us deserve Heaven? Think about that.